Gold prices rebounded from a five year low in July to the highest in seven weeks, boosted as investor confidence in the dollar waivered amid doubts U.S. interest rates will rise this year. Once again, traders fixated on a potential rate hike from the Federal Reserve have been the main driving force behind the price of gold. Last Thursday, the Federal Open Market Committee (FOMC) released the minutes from the meeting in the previous month in which it hinted that the central bank won’t rush to raise U.S. interest rates. Investors interpreted the minutes as further proof that U.S. interest rates may remain on hold for the rest of the year, and gold advanced. While Fed officials noted the U.S. economy continued to improve, the committee decided to wait for additional data confirming the outlook for growth, the minutes showed. In light of this, officials decided it would be “prudent” to wait for more data to confirm the economy was growing at a moderate rate and labour market conditions had improved further. “Many expected those conditions to be met later this year, although several members were concerned about downside risks to the outlook for real activity and inflation,” the minutes said. Fed officials have said since the beginning of the year that they would raise rates when labour markets had improved further and when they were confident inflation would move up to the 2% target. Against that backdrop, the U.S. dollar came under pressure on Friday and continued to fall Monday, following the release of the minutes, pushing the price of gold to $1170 an ounce. Meanwhile, emerging-market currencies headed for their biggest weekly gain in 17 years and stocks rallied as prospects for a U.S. interest rate increase in 2015 receded and oil traded around the highest level since late August. An index tracking 20 developing-nation exchange rates climbed 3.6% this week, recovering from its biggest quarterly loss since 2011. Indonesia’s rupiah has jumped 9.2% against the greenback since Oct. 2, according to prices from local banks compiled by Bloomberg. The rouble strengthened 7.9%, Malaysia’s ringgit rose 6.9%, while the Colombian peso advanced 5.8%, and the South African Rand gained around 4.5%. Gold has rebounded from a five-year low in July as turmoil in emerging markets, slower growth in China and disappointing U.S. economic data reduced the prospects for tighter monetary policy by the Fed. The International Monetary Fund on Tuesday cut its outlook for global growth this year. Higher rates curb the appeal of gold because it doesn’t pay interest. Expectations of a rate increase this year have been scaled back from 57% a month ago to 37% according to Fed fund futures data compiled by Bloomberg. While many policymakers still believe an interest rate rise will come by the end of the year, the odds for a move in March have risen to 58%. During the week there were a number of central bank meetings in addition to the Federal Reserve. The ECB minutes for the September meeting showed that the policymakers were concerned about the global economic outlook, especially the slowdown in China and other emerging markets. The Governing Council generally agreed that downside risks to Eurozone’s recovery and inflation have increased, as a result of lower commodity prices, a stronger euro and a lower growth prospect. The central bank reaffirmed that its monthly asset purchases of 60 billion euro would be fully implemented until the end of September 2016, and beyond if necessary. At the same time the policy makers at the Bank of England (BoE) voted 8-1 to keep the Bank rate unchanged at 0.5% and decided unanimously to leave the asset purchase program at 375 billion pounds. The Reserve Bank of Australia (RBA) kept the cash rate unchanged at 2.00% in October. The accompanying statement contained few changes, but were basically much the same as the minutes from the previous month. And, as widely expected, the Bank of Japan (BoJ) left monetary policy unchanged. The interest rate was held near to zero while the target for monetary base expansion remains at JPY 80 trillion annually. The Chinese currency has skyrocketed up the rankings, rising from 35th in 2010 to its current spot at No. 4 today. It was just last November when the yuan gained the No. 5 spot. It’s no wonder the Chinese have been pushing for inclusion in the International Monetary Fund’s Special Drawing Rights basket, currently comprised of the US dollar, euro, yen, and the British pound. The IMF is scheduled to begin its twice-a-decade review of the basket before the end of the year. According to Bloomberg, Standard Chartered Plc. estimates inclusion of the yuan in the basket could trigger as much as $1 trillion of inflows into the currency. China is trying to increase the yuan’s usage around the world as it looks to reduce the dollar’s dominance of global trade. The People’s Bank of China has appointed yuan-clearing lenders in 10 countries including South Africa and Argentina in the past year and opened the local bond and currency markets to overseas central banks. The Chinese central bank has also been buying large quantities of gold, and many analysts believe it is part of the push to stabilize the yuan in the eyes of the international community. In July, China announced its gold holdings for the first time since 2009, revealing a 57% increase in its holdings. However, it appears that these latest figures are grossly understated. Meanwhile, government debt and entitlement commitments have exploded over the last seven years. Between 2007 and 2014, the total global debt increased by over 40%. Governments, financials, corporations and households have all increased their absolute debt levels in the last few years. Total global debt has reached $200 trillion USD. World global output measured by the gross world product was around 76 trillion USD in 2013. This means that on a global scale we have a debt ratio of approximately 270% of the total yearly world output. These days, most investors seem unconcerned about the unsustainable levels of global debt and the inflationary potential of the trillions of dollars created by the major central banks especially the U.S Federal Reserve. And, few seem the least bit worried about what a zero interest rate policy (ZIRP) or even a negative interest rate policy (NIRP) will ultimately do to the purchasing power of the dollar. With slow global economic growth, ZIRP and NIRP, expansionary monetary policies of the major central banks as well as exploding debt levels, the future of our current financial system looks very precarious. Despite all of the disparaging talk about precious metals, I believe that the current low levels offer spectacular value. And, I expect to see demand increase dramatically in the coming years as more prudent investors see the truth and look for a reliable store of value. 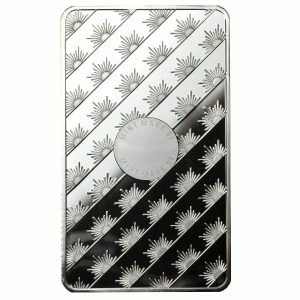 As global demand for silver continues at unprecedented levels, mints worldwide are struggling to meet this “through the roof” demand. 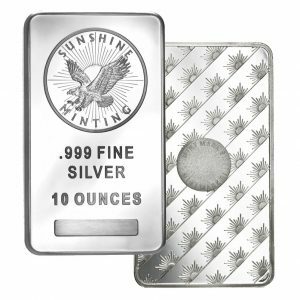 According to a bulletin released by the Silver Institute a day ago, Retail investors in recent months have seized the opportunity to significantly increase their holdings of silver bullion coins and, to a lesser extent, bars. 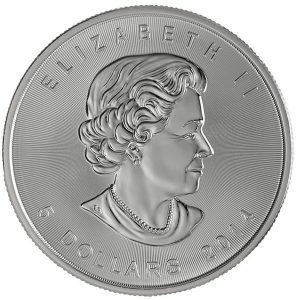 Due to strong demand, the U.S. Mint, the Royal Canadian Mint, Australia’s Perth Mint, the Austrian Mint and the British Royal Mint have put their silver bullion coins on allocation, where the volume of distribution of coins is controlled due to bottlenecks in the manufacturing process. This is an unprecedented industry-wide phenomenon. 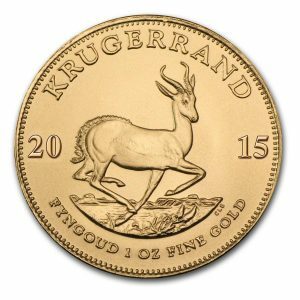 In recent history, putting bullion coins on allocation has only occasionally been done by the U.S. Mint. The practice points to considerable tightness in the silver coin business at the moment. 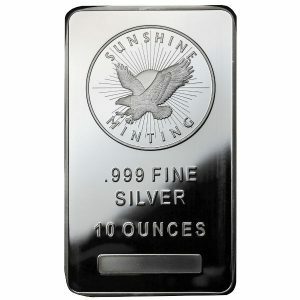 The strong global demand for silver coins has forced some mints to ration sales and step up overtime. 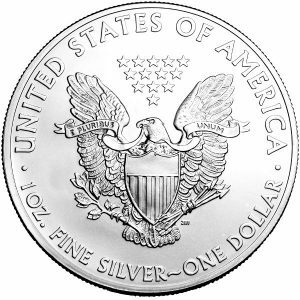 The U.S. Mint began setting weekly sales quotas for its American Eagle silver coins in July because it can’t meet demand, and the Canadian mint followed suit after record monthly sales in July. In Australia, the Perth Mint sold a record of more than 2.5 million ounces of silver in September, nearly four times more than in August, and has begun rationing supply of a new line of coins this month, a mint official said. Recently a spokesperson for the U.S mint said it is currently operating three shifts and paying overtime in an attempt to keep up with demand. Officials with Australia’s Perth Mint also report increased production of silver blanks after higher-than-expected demand in July and August. 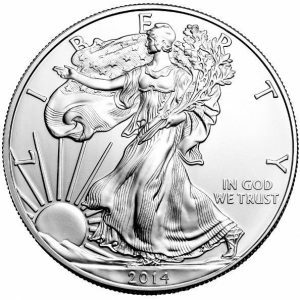 The US Mint sold 14.26 million ounces of American Eagle silver coins in the third quarter. That represents the highest sales volume on record, dating back to 1986. Year-to-date sales have already hit 37,975,000. 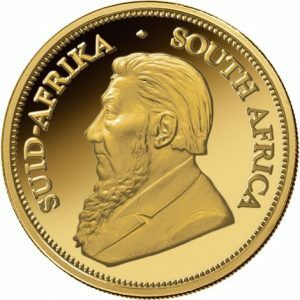 The difficulty in getting coins from US mints has led many investors and collectors to look overseas, and that triggered a domino effect in Europe and Asia. 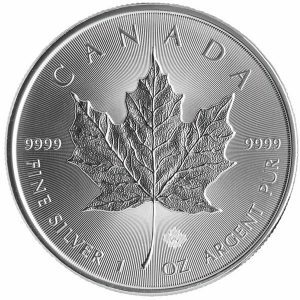 We are now seeing a truly world-wide supply shortage of silver coins. The supply issues and high demand show no sign of abating, so shortages and waits will likely continue as investors who are tired of the hype around stocks and are fearful of the cyclical Fed-fuelled booms and busts are turning to tried-and-true tangible forms of wealth like silver (the “poor man’s gold”) as well as gold bullion.